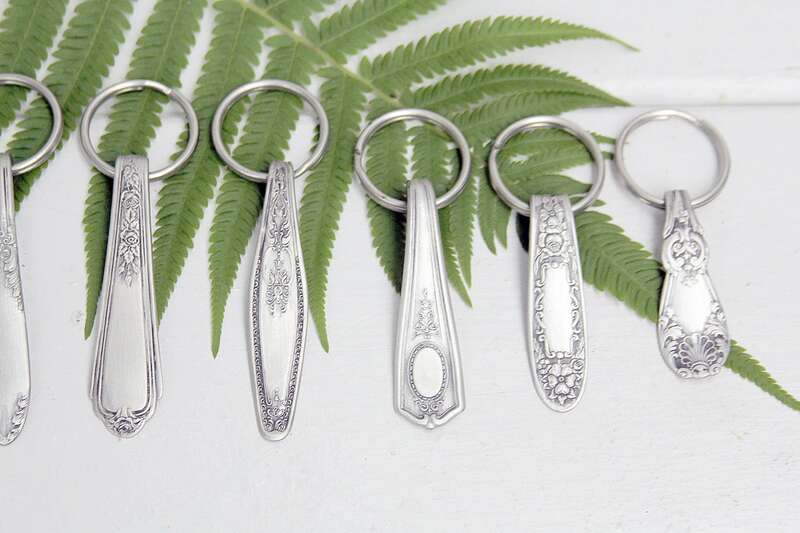 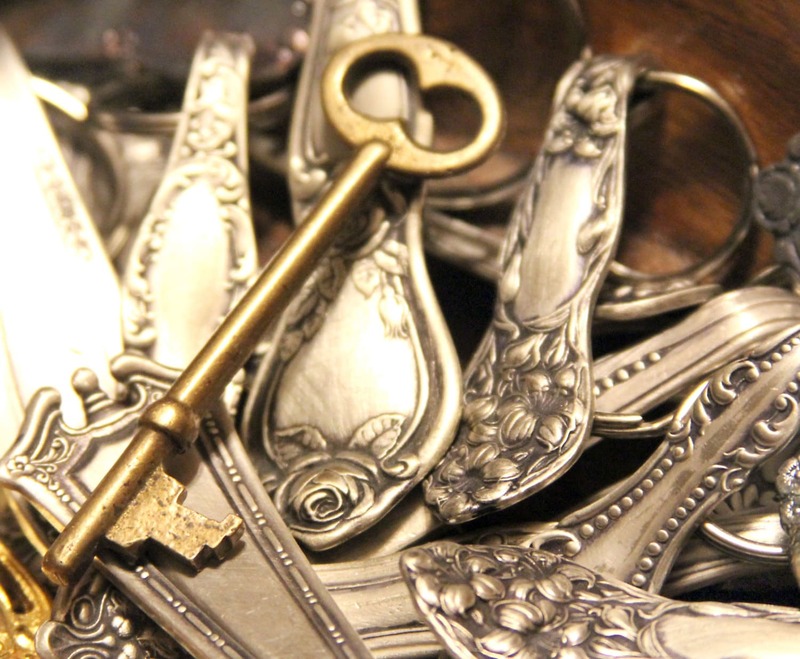 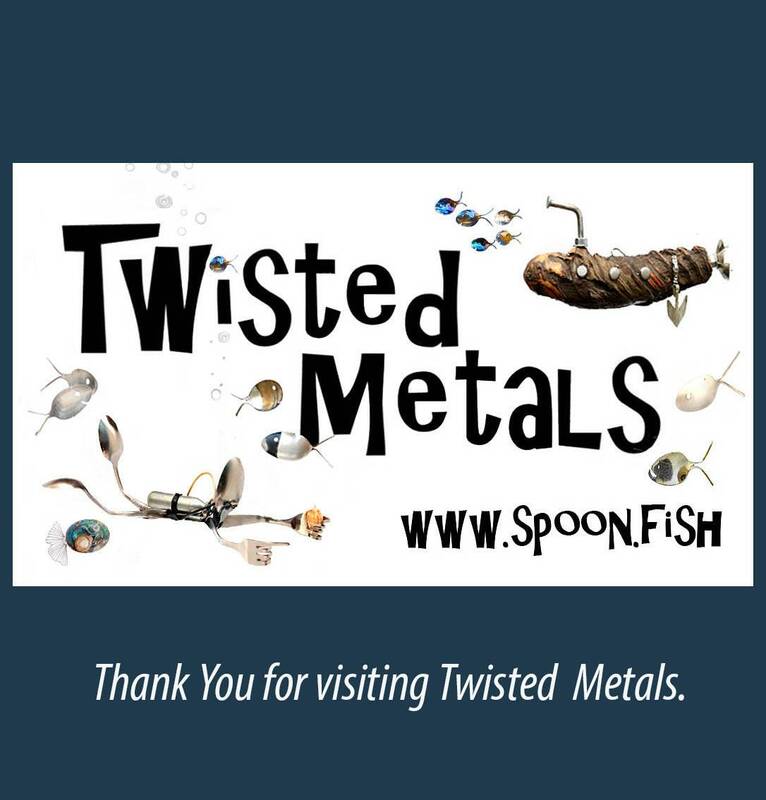 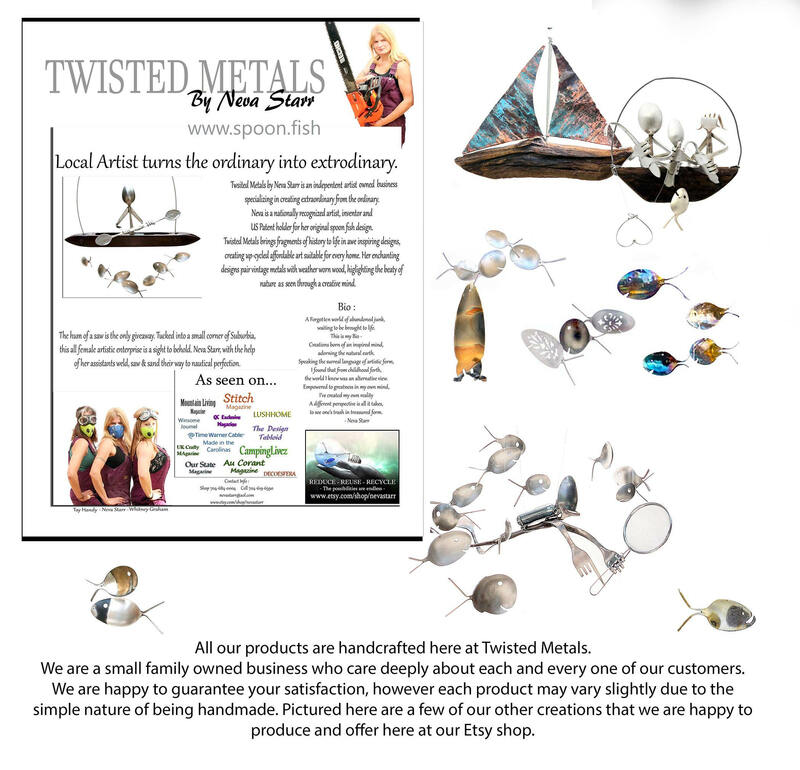 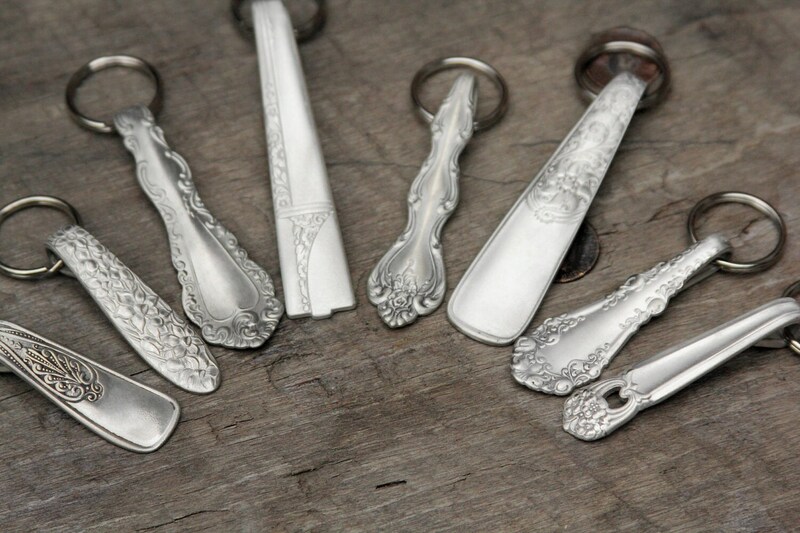 These darling silver plated key rings began their journey as flatware long ago. 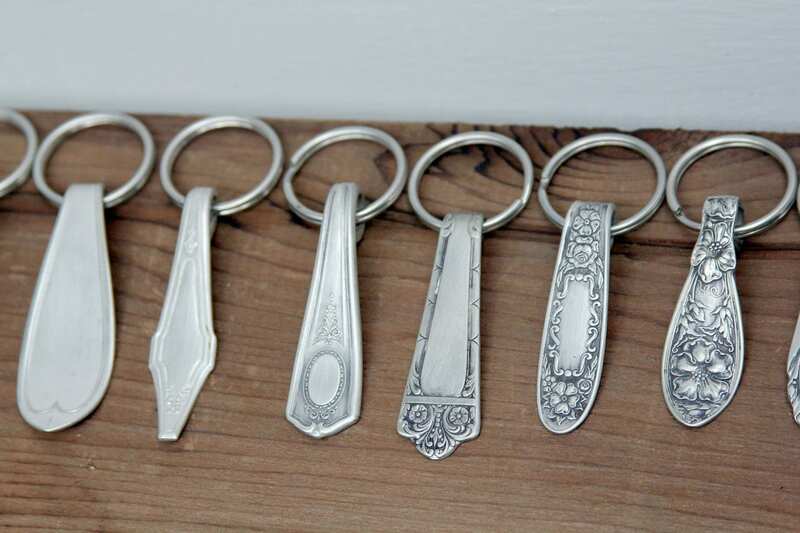 Over time they were graced with a lovely aged patina giving them character & charm. 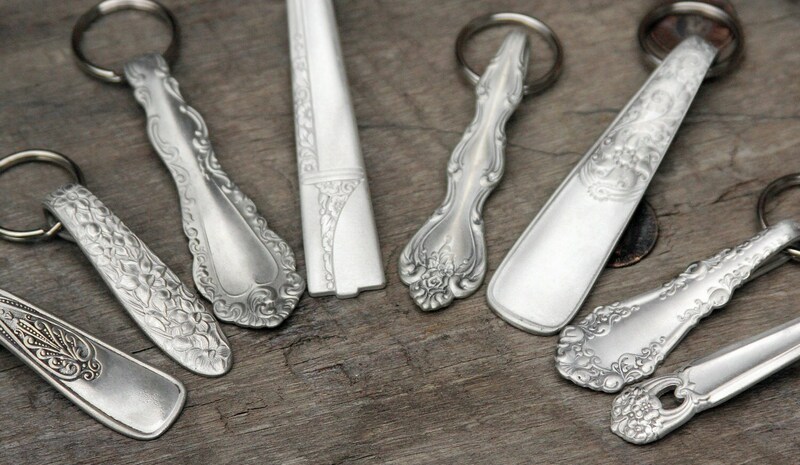 Each unique key fob is carefully crafted to delight all for years to come.